Do you feel overwhelmed when it comes to content creation? Week after week, you just feel like it takes up so much of your time? You wish you could hire someone, but if you have tried, you’re likely unhappy with what they create. You’re the thought leader in your business and it’s not something you can outsource. 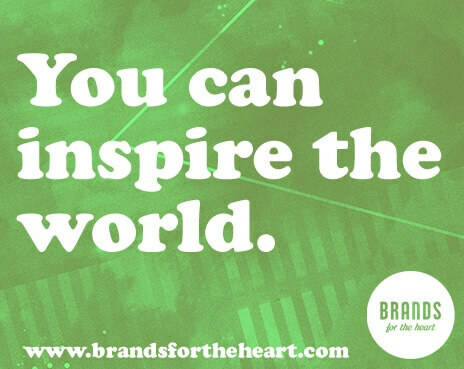 As an heart-centered entrepreneur, you’re full of bright ideas that the world needs to hear directly from the source. You can inspire the world. And content marketing is a great way for you to spread the word about your brand and attract customers you love. But at times, content marketing on a regular basis may seem like unachievable goal when you’re an entrepreneur dedicated to your developing your business. And so in this video, I’d like to share with you my secret to overcoming the stress of content creation. So what’s the secret? It’s simpler than you may think… Lay the groundwork early! Decide what you want to talk or write about before you dive into creating it? You want to plan this at least 30 days in advance. This is a crucial step! If possible, 90 days would be optimal. Planning this way in advance will lay the groundwork early on and make the content creation process much smoother. Which is why… If you have everything planned and scheduled ahead in advance, you can really focus on what’s the most important, which is the unique thought leadership content that you’re creating. Here’s an example… Prior to filming my weekly videos, I take some time to plan out a schedule of what I’d like to talk about in each video. I then make arrangements with my team who helps me get my content ready to be released. Then I just hop onto the camera for about 3 hours and create all my video’s at once. After video filming with my camera guy wraps up, the video content goes to my video editor, which then goes to my assistant. I’ve got a team supporting me to do all the technical stuff. I don’t even touch the memory card from the camera. My assistant then shares a draft of the email marketing and a blog post, as well as the nitty gritty stuff such as SEO. Once all is said and done, I’ll go through the final content, make any final tweaks and edits, and my assistant schedules it. And voila! Our content marketing is ready to be shared with our community and all I need to do is show up, be me and focus on my craft. I don’t let myself get caught in the weeds or the technicalities, which makes it a far more easy and effortless process for me that I actually enjoy! 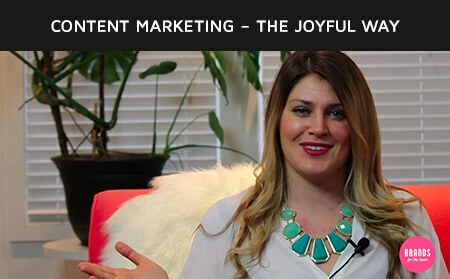 Content marketing is fun and joyful, when you have a system for creating it. In summary, simplifying the process and break it up into steps helps to eliminate the stress and overwhelm in content creation. It turns an activity that may initially seem tedious, and makes it fun and enjoyable. What are some of your hacks to content creation? Let’s get the conversation rolling in the comments below!